Museum in the open in 1990 in the building of the old Turkish ruzdija, which was built in 1839. Reconstruction of the Museum in Prijepolje began after the competition at the National Investment Plan in 2006, the project "Construction and reconstruction of the Museum in the construction of summer cultural scene with lapidarium", by Slavoljuba Pusic, declared "for the project priority" and for that are allocated significant funds. Based on the preliminary design of the project was done by the architect Miladin Lukic, a major project by the Institute for Urban Planning and Design in Prijepolje. 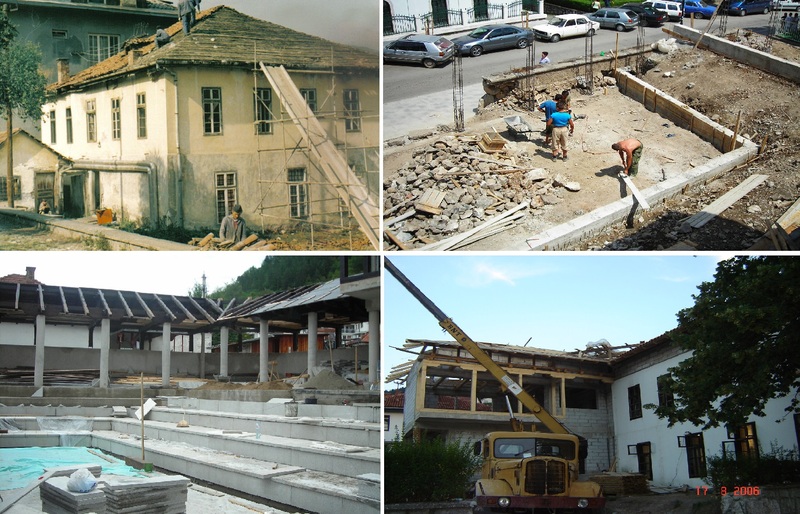 The project involved the reconstruction of the interior space, the former classrooms and complete reconstruction of the school yard in the collection of stone monuments and expansion of the Annexes to the existing facility. The project is meant to build a depot museum part of the building below the main building and courtyard, with the application of modern methods of protection against moisture and groundwater. Instead of inadequate classrooms in which there was a permanent exhibition and unconditioned and small stores, and a new project created a modern space of 1,000m². Complete reconstruction was performed by modern methods, with respect to the installation of modern methods of protection: video surveillance, intrusion, fire protection system and central air conditioning, according to the standards of modern museums in the world. In less than a year, completed a complete renovation. The first exhibition in 2007 at the newly opened Museum in Prijepolje, was a great promotion and forgiveness of basketball player Vlade Divac.